Bagua zhang was designed to fight up to eight opponents at once with an emphasis on being able to change direction and energies without any hesitation or gap. Many legends tell of its effectiveness as a fighting art. One is how just a single bodyguard was able to protect the Dowager Empress Tsu Hsi when she fled Beijing after the collapse of China’s Boxer Rebellion in 1908 using the martial aspects of bagua zhang. Bagua zhang (Bagua/Pakua) serves as training for attaining high levels of internal power, which can make you an effective fighter. Bagua zhang gives you the ability to instantaneously, efficiently and upon demand release internal power to achieve your goals with maximum speed and coordination. Ideally, you learn to achieve your goals without damaging your body or mind and while maintaining optimum health. There is always a potential price to pay at all levels of your being when learning a martial art like bagua zhang. These include testing your martial capabilities through physical combat, including physical pain, or potential injury from contests and competitions or using martial skills in real-life war or law-enforcement situations. Likewise, part of the cost is the unstinting effort you must sustain to learn, test and prove yourself as you achieve progressively more difficult and challenging degrees of skill. Bagua zhang can maximize your physical and mental health in the short and medium term (5-20 years), while increasing your overall level of mental and physical vitality, strength and stamina. In the modern age, this is usually enough for most people. Developing truly superior physical, mental and spiritual functions with bagua zhang is more challenging. This will include learning how to embody neigong (internal power) components in dramatically greater depth in your bagua zhang movements. The drive toward high performance is commonly associated with Type-A personalities, who also unfortunately have a tendency toward excessive behaviors and overstraining the body. In this regard, a critical part of the bagua zhang training is learning to avoid injuries and the burnout that sadly often accompanies the attempt to acquire high-performance capabilities. Living well into your old age, so that your golden years are truly enjoyed, provides strong motivation for learning bagua zhang(bagua/pakua). Bagua zhang practices help prevent disease and injury and—should stress and illness occur—enable you to recover and heal more quickly. Bagua zhang practices are also rejuvenation tools. These important goals of bagua zhang apply equally to youngsters who look forward to living many years, or people in their fifties and sixties that may suffer from stress and chronic disease. Many who learn bagua zhang, even those that begin in their 40s or 50s, find they become as capable mentally, physically and sexually as they were in their 20s or 30s. That is why these practices are considered keys to the real elixir of youth. Many bagua zhang (and tai chi chuan) practitioners believe that these arts may extend your actual years on the Earth, although this is impossible to quantify. 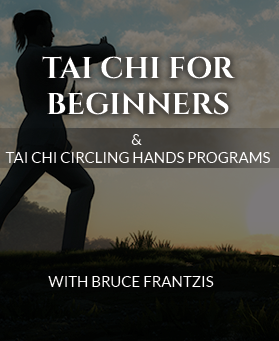 If your goal is to heal others—physically, emotionally, mentally or physically—bagua zhang (pakua) and tai chi chuan can help you develop the chi (qi) you will need. 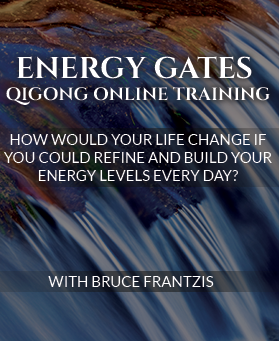 First and foremost, bagua zhang and tai chi chuan will increase your personal energy. In the process, you can learn how to channel and use energy from the external environment (outside of your body), so you can transmit it to others. The bagua zhang techniques will help you develop your intuition and a type of somatic intelligence that enhances your healing abilities. This process also enables you to become sensitive to the energies of others and develop compassion as you work with your patients. Bagua zhang helps you acquire energetic skills, so that you can stay healthy and unstressed. Preventing burnout is a primary application of bagua. As any healthcare professional or body worker knows, protecting yourself from the chi of your patients or clients is critical to maintaining your vitality and being able to continue your healing career for the long haul. When practiced as meditation, bagua zhang (pakua) is unique in that it seamlessly fuses exercise and meditation. It gives you practical methods to become healthier, while providing profound spiritual practice. You can engage in bagua exercise and meditation simultaneously rather than doing one at a time. 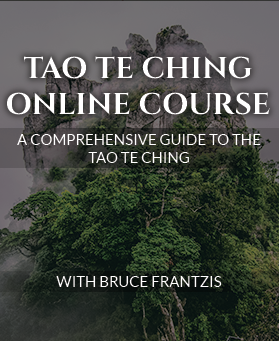 If, at some point, you have the opportunity to practice bagua zhang within a genuine Taoist meditation tradition, then you will go beyond movements that help you get healthier and calm your mind. By practicing bagua zhang you engage in a profound spiritual path, which can enable you to become emotionally and mentally balanced and mature, as well as take you to the deeper, mental, emotional, psychic, and karmic aspects of your being. At this level, bagua zhang as meditation helps you become fully conscious of the chi of your physical body. Later, you can deal with the deeper matters of your spirit and essence, which is usually unconscious and/or trapped in the body. If you manage to release your blockages at these levels, then you will become fully awake at all levels of human consciousness. If you take bagua zhang practices to their most profound levels, your spirit may become capable of extending beyond your body to connect and join with the Tao, or universal consciousness. In Bruce’s book, The Power of Internal Martial Arts, you can read more about bagua zhang’s history and find out about some remarkable bagua teachers in China with whom he studied. Although hsing-i and I Chuan are known solely as martial art forms, they are in fact some of the most powerful health practices on the planet. Here’s the basic rule: You go through two stages with any chi practice. The first stage makes you healthy—without this you can go no further. The second stage takes you to a dramatically higher level so you can start gathering power for internal martial arts. For health, you only need to open and close to get the chi to circulate throughout your body. For martial power, you need to condense the openings and closings until your body becomes like spring steel being moved in various directions. As you practice hsing-i, your body will start to open and the chi will be able to move through your body. The next step is to allow your chi to sink to your lower tantien. The lower tantien is the only place in your body where all energy channels related to physical energy connect. When your chi smoothly and cleanly arrives at the lower tantien, you can feel it and you know it. To stabilize your chi, visualize the energy that’s floating around your body as drops of water. As the chi circulates around your body, each time it makes a rotation, make sure at least some little bit of it stores in your lower tantien. Every time you practice you are building reserves of chi in your body. My main teacher, Taoist Lineage Master Liu Hung Chieh, ALWAYS did the five elements of Hsing-I before doing Tai Chi or Bagua, and he was a master of all three. He would also hold Santi for some period of time FIRST. He would make sure they were integrated into his movement and only then would he move onto other forms. Hsing-i built and nurtured the chi in his system, so he remained both healthy and strong. He did it to start-up his internal system. It is like starting up the hard-drive of your computer. He did it to make the openings and closings in his system become very powerful so his chi power, his internal power from martial arts, would become very strong.